Fancy being more than just a statistic on a Japanese balance sheet? Come October 25th, you can be a statistic and the proud owner of a stylus and an accompanying Note II to scrape it against. The Now Network just announced that it'll make the handset available to new customers and upgrade-eligible folk for $299.99 on a two contract, in either marble white or titanium gray. Expect to pay a significant monthly sum too, especially if you want exploit that Sprint-flavored LTE. 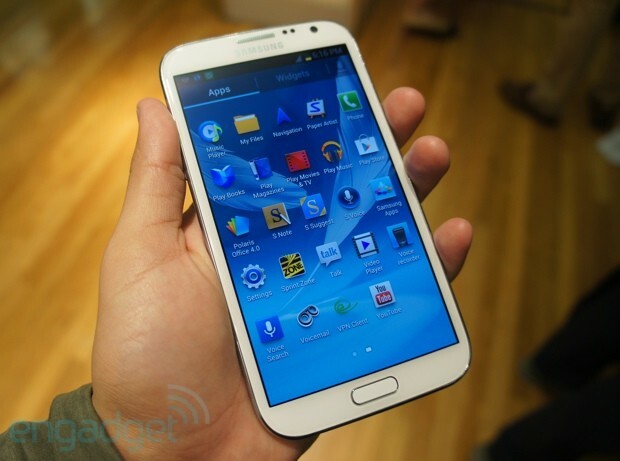 Sprint's Galaxy Note II to arrive October 25th, with LTE and $300 price tag originally appeared on Engadget on Tue, 16 Oct 2012 09:28:00 EDT. Please see our terms for use of feeds.